The universe gives us 24 hours in a day. Within that period of time, we typically have 16–19 hours to complete all of our tasks. It seems like a lot of time, right? But truth be told, it sometimes isn’t. This is why we need to properly manage our schedule. With proper time management system, we can easily and effectively accomplish most, if not all, of our tasks set for a given day. 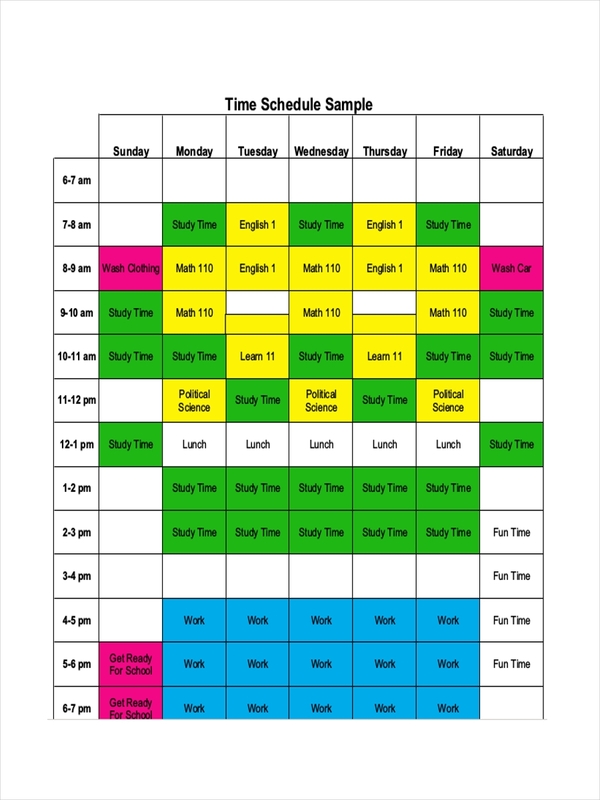 Here are some sample schedules that help with this. 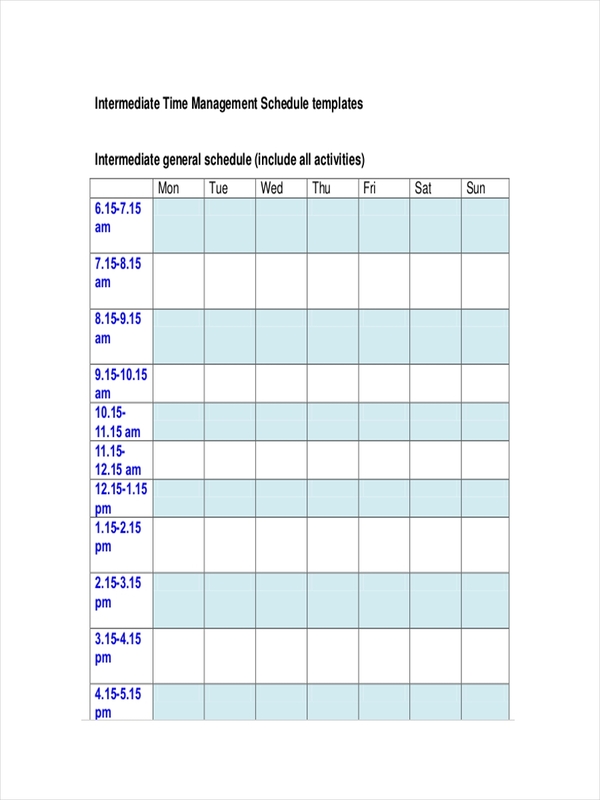 What Is a Time Management Schedule? 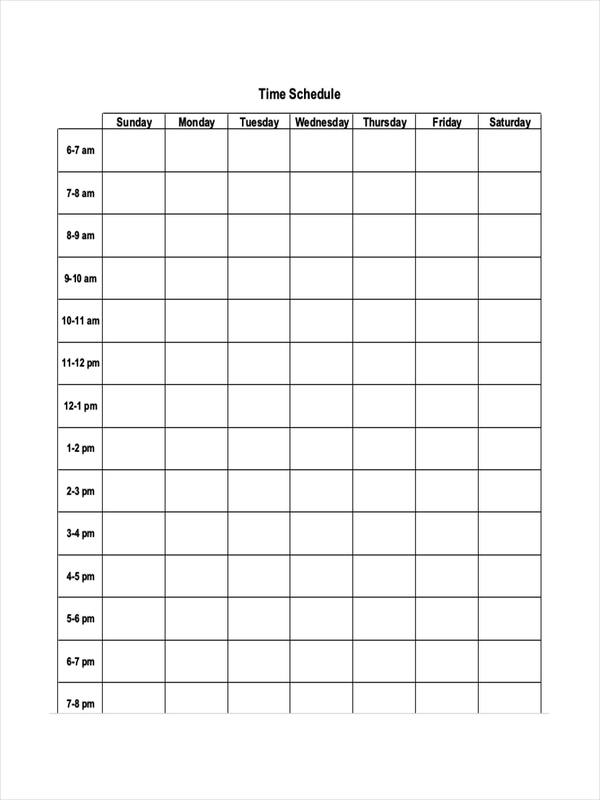 A time management schedule, from the name itself, is a form of an activity schedule designed to exercise control over the time period spent to carry out specific activities. 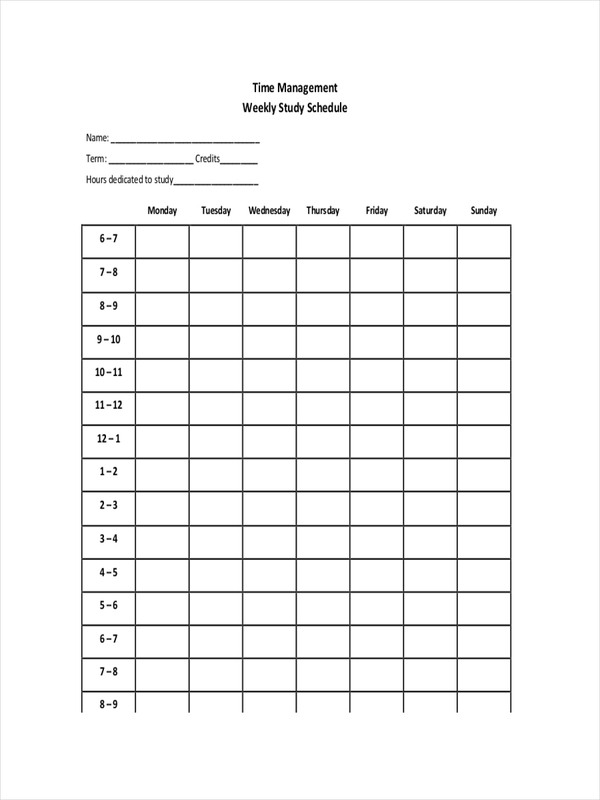 This type of schedule is a lot like a weekly schedule or a monthly schedule as activities in a day are planned out wisely. 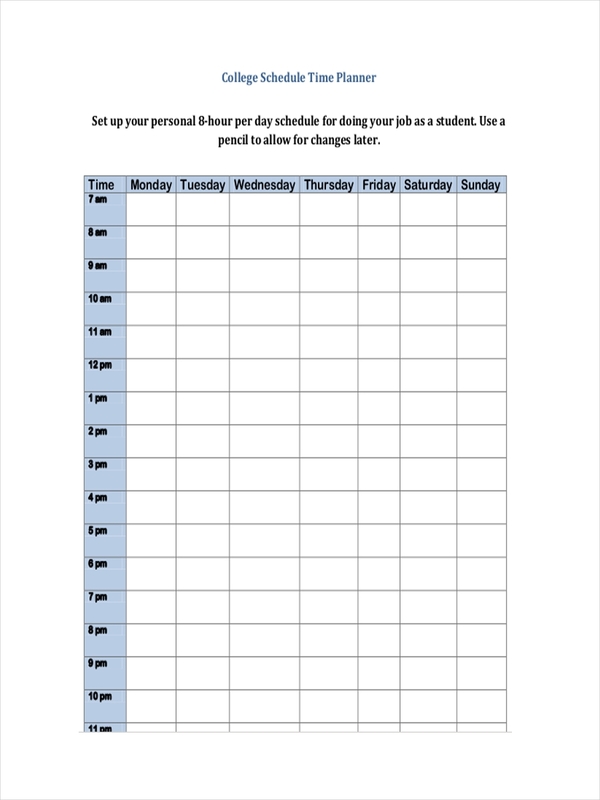 Creating a time management schedule is easy. The first thing you would need to do is jot down the things that you do daily or regularly. With this, you’ll be able to insert the things that need to be done within a certain time and day. You have to arrange these items accordingly in your work schedule. Any remaining time may be allotted for breaks or additional errands. It’s best to make a flexible schedule as well. This is so you may easily adjust to changes caused by unforeseen circumstances. Finally, do a test run for your daily schedule. Evaluate what works and what doesn’t then make the necessary changes. When we’re given a list of chores to do, the sight of it already tires us out. Possessing a negative attitude will leave us with nothing but consequences. Having a proper hourly schedule for time management will allow you to accomplish tasks efficiently and effectively. There’s no good that comes with procrastinating. It only stresses us out even more in the last minute. Although there are some circumstances that may hinder us from completing a task on time, this should never be a reason to not try. 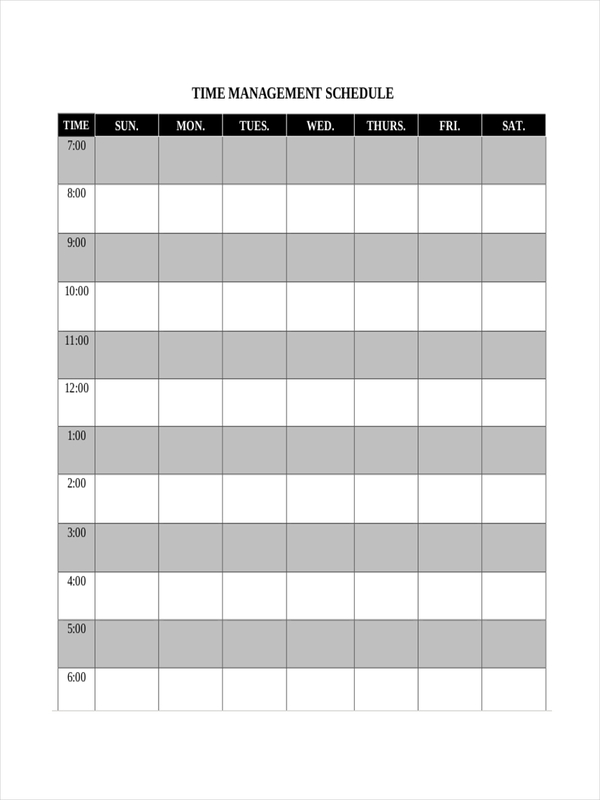 Having a proper schedule in pdf for time management for yourself will wire your brain into thinking that you have a smart goal to achieve and that you must act upon it immediately. Because after all, if not now then when? Set your priorities straight. Try not to risk forgetting anything by emphasizing it in your schedule. Keep in mind that some tasks may cause a chain reaction when missed. Overestimate your allotted time. Try not to over do this. 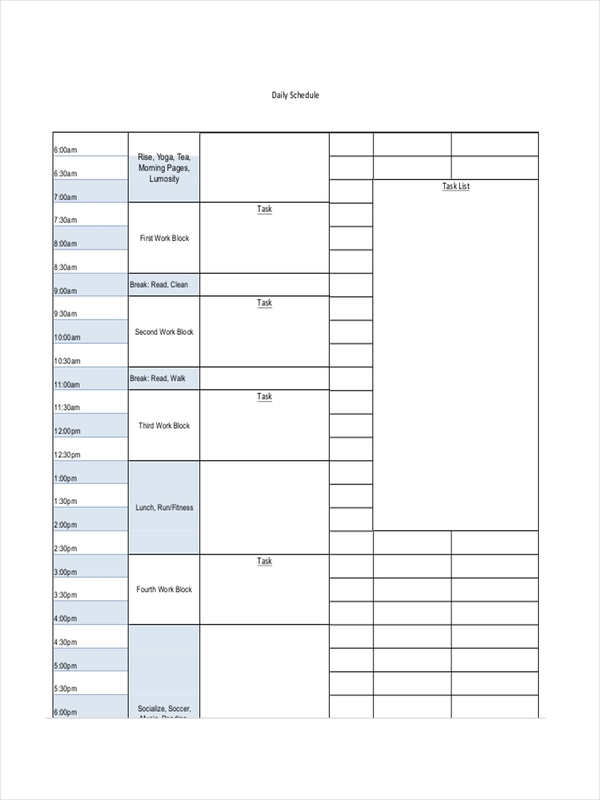 Adding a maximum 15-minute interval for each task sheet will allow you to prepare whatever is needed beforehand. Use your time wisely. You don’t need five hours to clean your room when you can do it in two. Be practical with the way you manage your time to increase productivity. Insert a few breaks here and there. You can’t expect yourself to be on the go all the time. Take a coffee break or two. If you have a little time to spare in between tasks, allow your eyes to take a little rest.